Monday-Friday 10:00 a.m. - 5:00 p.m.
Save $1 per ticket when you order online! Tickets must be used within a 12-month period. Get Free Admission and Parking Year-Round. Become a zoo member! 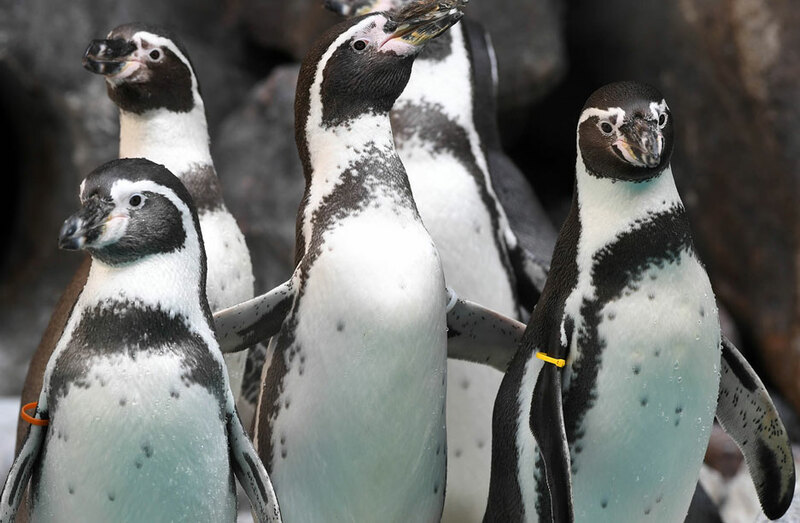 You'll receive free admission and parking for one year, the quarterly member's newsletter, discounts at the zoo's shops and restaurants, and guest passes, plus discounts on special attractions throughout the year. If you have a group of 20 or more guests and will be traveling to Brookfield Zoo via bus, we offer group rates. Tickets must be reserved and paid for at least 7-10 days prior to your visit. Tickets are non-refundable and valid only on the date of your visit. Rentals are available near the North and South Gates. Please note: Brookfield Zoo requests a deposit with all rentals. For rental of electronic convenience vehicles (ECV) and wheelchair rentals, the zoo requires credit card information as a security deposit. The zoo has a limited number of ECVs and wheelchairs for rent. Please call (708) 688-8347 to reserve an ECV or wheelchair in advance to assure one is available for your visit. Same day reservations are not accepted. For the safety and welfare of our animals and visitors, smoking is prohibited except in designated smoking areas. Thank you in advance for your cooperation. Please do not bring your pets to the zoo. Pets are not allowed within the Zoo under any circumstances and are not to be left locked in personal vehicles during a zoo visit. Service animals are allowed, but guests are to alert the Gate Attendant upon arrival. A Service Animal Map (with locations that may not be ideal for service animals to go) will be provided to you upon your arrival or are available by clicking Service Animal Map.